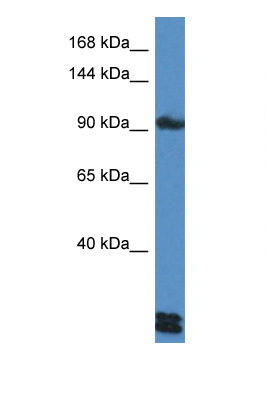 Desmoglein 3 antibody LS-B14031 is an unconjugated rabbit polyclonal antibody to human Desmoglein 3 (DSG3). Validated for IHC and WB. Tested on 20 paraffin-embedded human tissues. Synthetic peptide located between aa854-903 of human DSG3 (P32926, NP_001935). Percent identity by BLAST analysis: Human (100%); Gorilla, Gibbon, Monkey (92%). 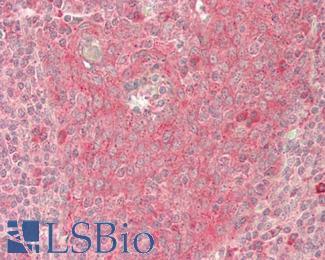 Immunizing peptide used to generate LS-B14031. Useful for pre-absorption and neutralization of the antibody's antigen binding site. DSG3 antibody western blot of HepG2 Cell lysate. Antibody concentration 1 ug/ml. This image was taken for the unconjugated form of this product. Other forms have not been tested.